Palghat Rama Bhagavatar sang and recorded several times during his illustrious career in the AIR stations at Chennai, Kozhikode and Delhi. 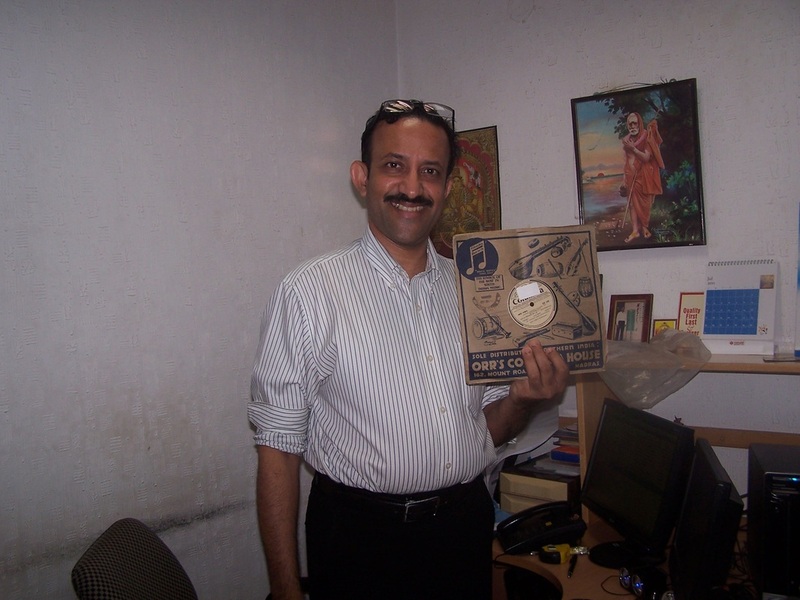 There have been several 78RPM plates of Rama Bhagavatar released by Columbia records. It is very likely that many of his well wishers and Rasikas would be holding on to his recordings and Plates. This is a humble request by me Sriram, his grandson, on behalf of Rama Bhagavatars family - to help me get a copy of any of his recordings so that they may be put on public domain and enjoyed by the future generations of students and rasikas. I would be pleased to compensate the holder of any recordings of Rama Bhagavatar for any costs that my accrue due to digitization of the plates / tapes.